In 1942, Ilvo Fontana, an Italian watchmaker, was commissioned to produce a timepiece to be used by his country’s naval officers. Unfortunately, perhaps because Italy was in the midst of a major war, the deal was aborted before production began. 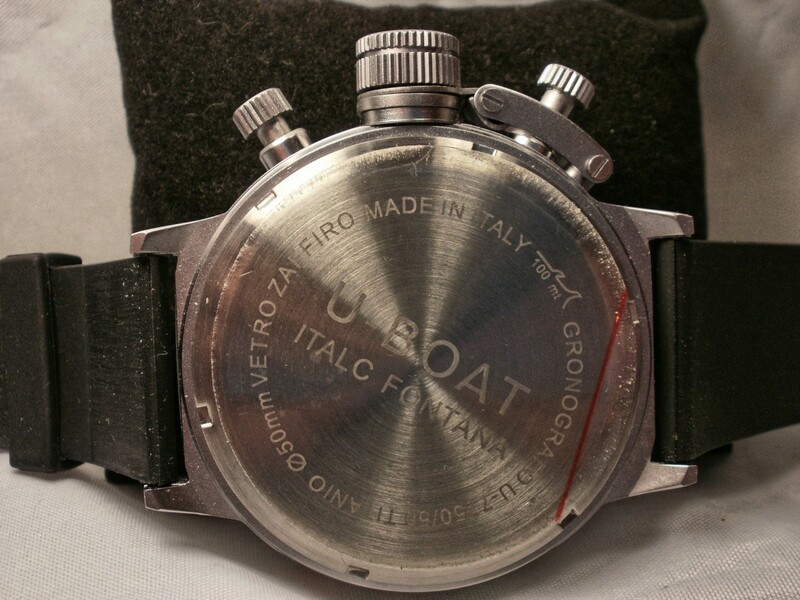 Ilvo’s designs and prototypes were rediscovered by his nephew, Italo Fontana, and became the foundation of today’s U-Boat collections. U-Boat was founded in 2000. 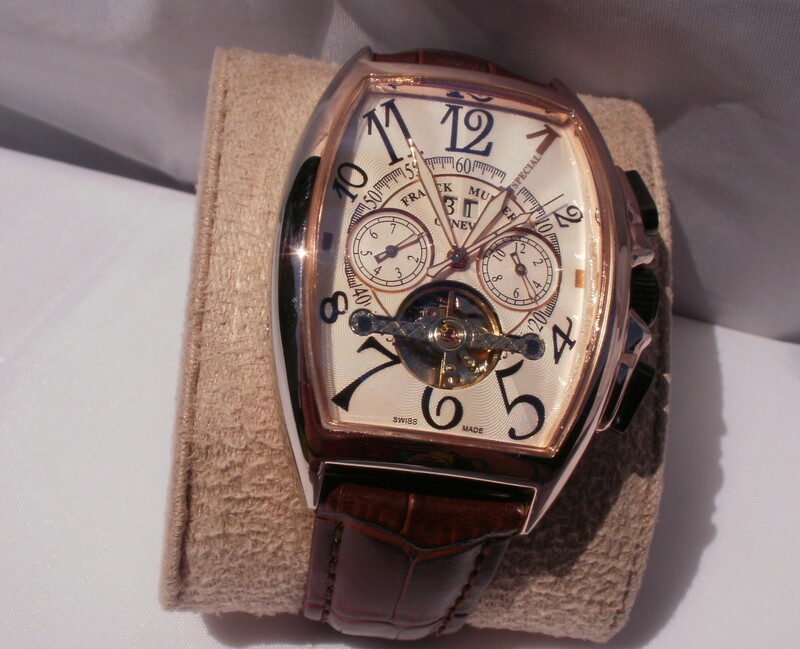 The company’s watches, despite their large size, are quite comfortable. This is because the crown of each watch juts out from the left-hand side of the timepiece, avoiding potential contact with the wearer’s wrist. Editions are limited and these wristwatches are built by hand. 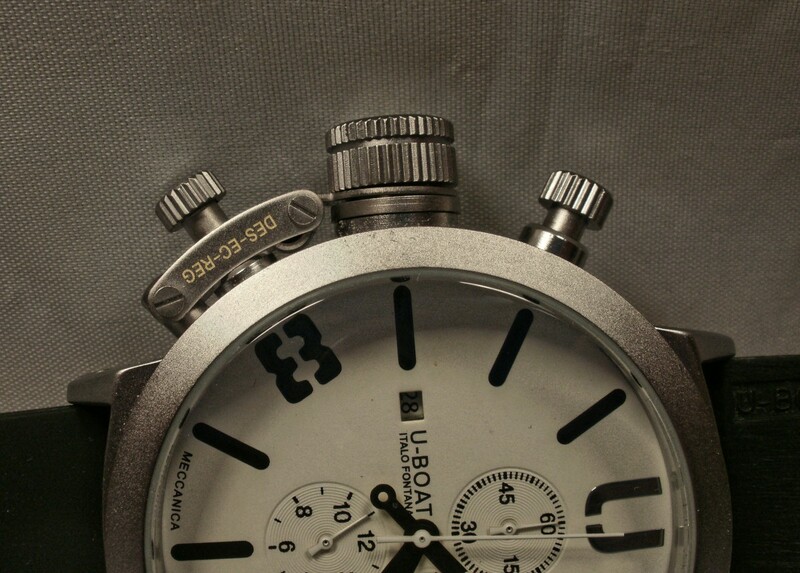 U-Boat’s first timepieces were mostly equipped with Japanese, Myota quartz movements. Later they switched to high-end Swiss mechanical movements. 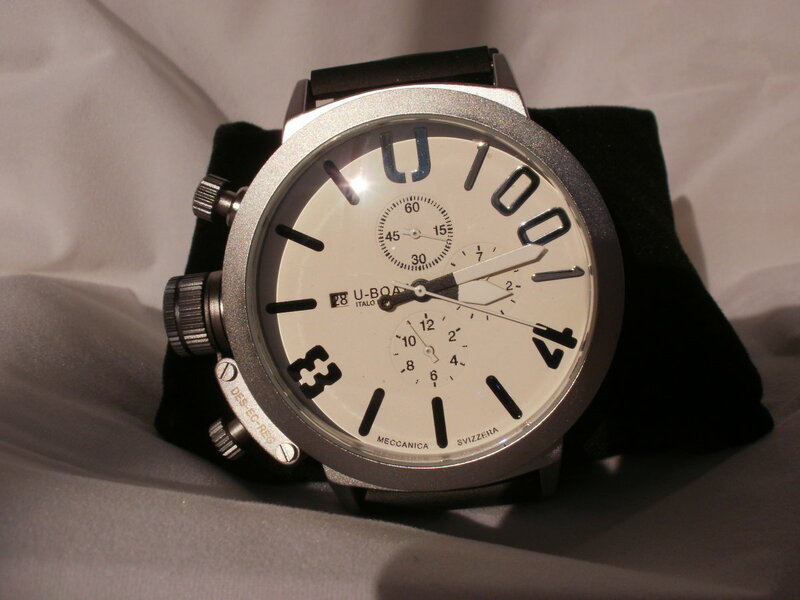 U-Boat has proven surprisingly successful in the luxury watch market due to their high quality and innovative design. 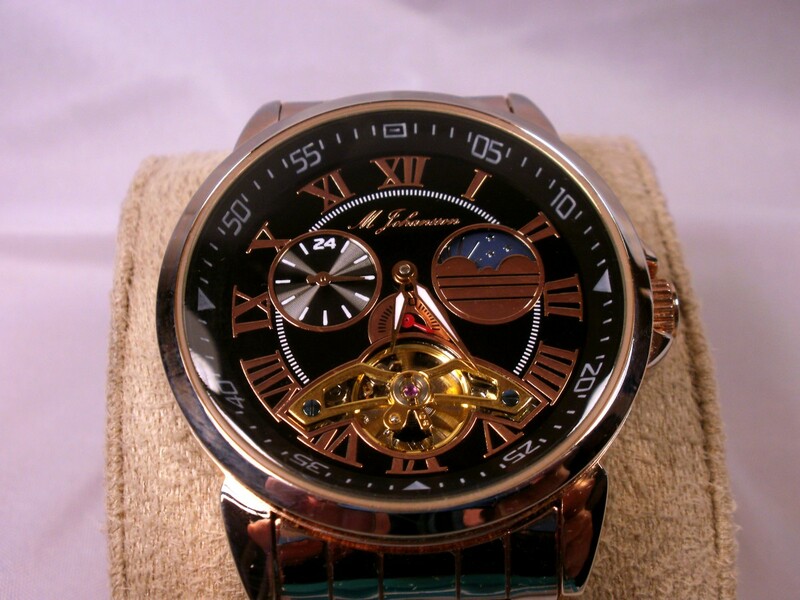 Internet stores avoid selling replicas because these watches are produced without regard to copyright laws. The factories that manufacture them steal both the originating company’s design and their branding information. 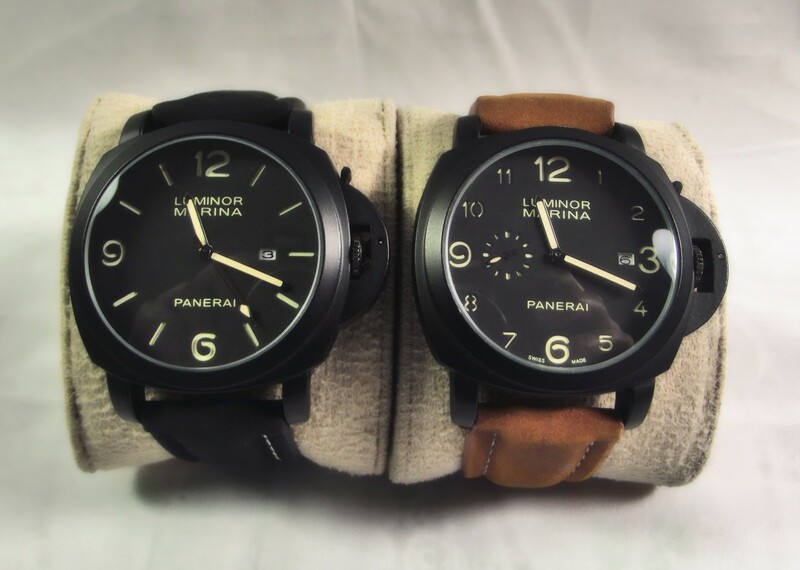 These timepieces are generally of lower quality than the original and, when they fail, the company whose name is featured on the watch is the one whose reputation will suffer. I purchased this replica U-Boat U1001 from a vendor on DHgate. 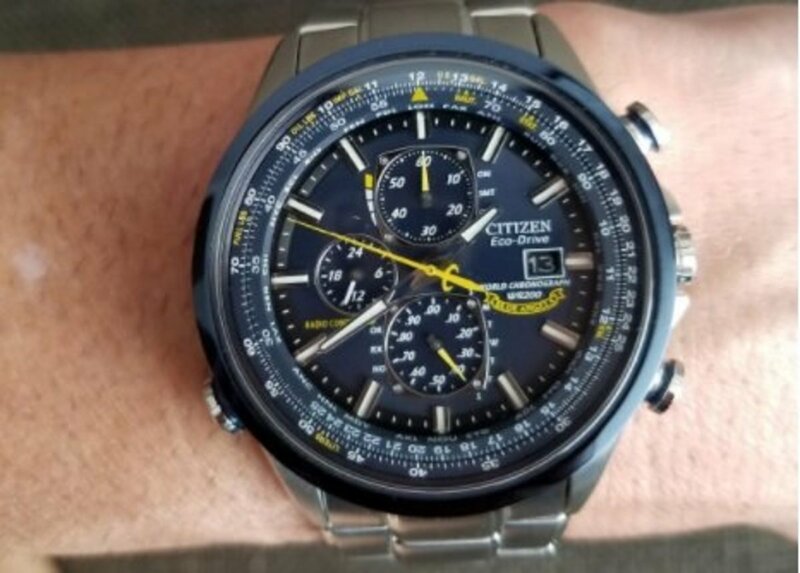 Since this internet store does not knowingly sell replicas, I searched for this timepiece by model number rather than by brand name. 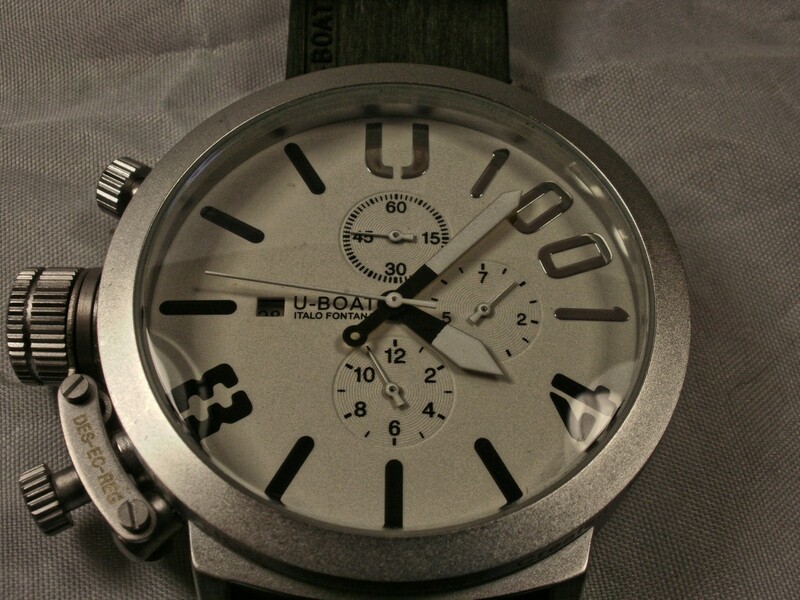 The original U-Boat Classico U-1001 was introduced in 2011 and remains in production. 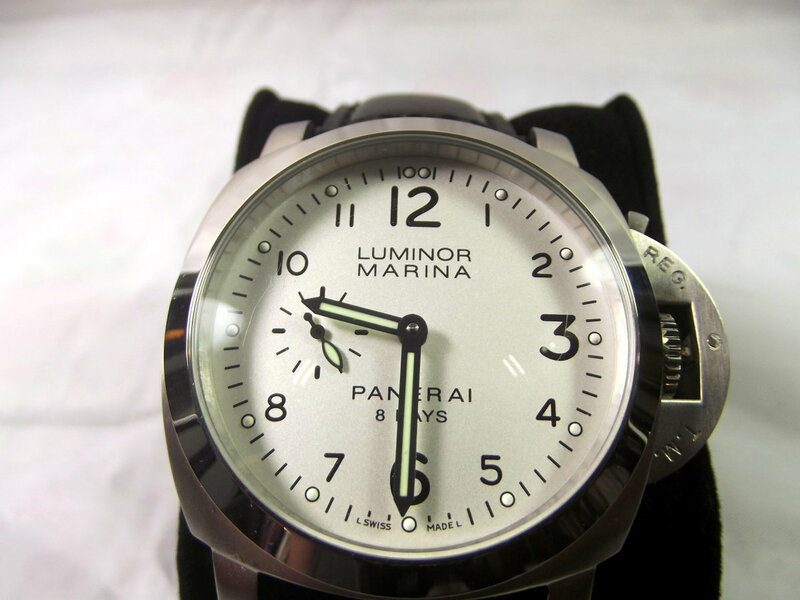 While more faithful copies of this watch are available at DHgate and Wish, I chose this model because it includes a full calendar while still mimicking the distinctive U-Boat style. If you do not want to purchase a replica but cannot afford a genuine U-Boat, you might be interested in my review of the Aatos G-JzakkoSSBD Automatic Watch. Although its styling is more conventional than the U-1001, the Aatos is a quality timepiece. The U-Boat replica arrived earlier than expected. The package included a watch box and was bubble wrapped and secured inside a cardboard box. My total cost came to $42.99. The Replica U-Boat is a very large watch although, considering its size, not particular heavy. Its diameter, including crown, measures 59mm. 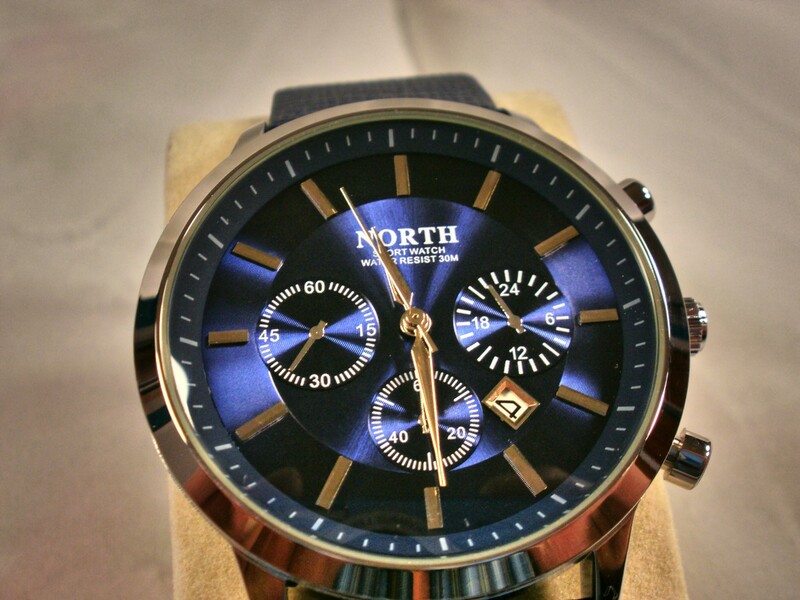 This watch is 18.5mm thick and weighs in at 126 grams (4.44 ounces). 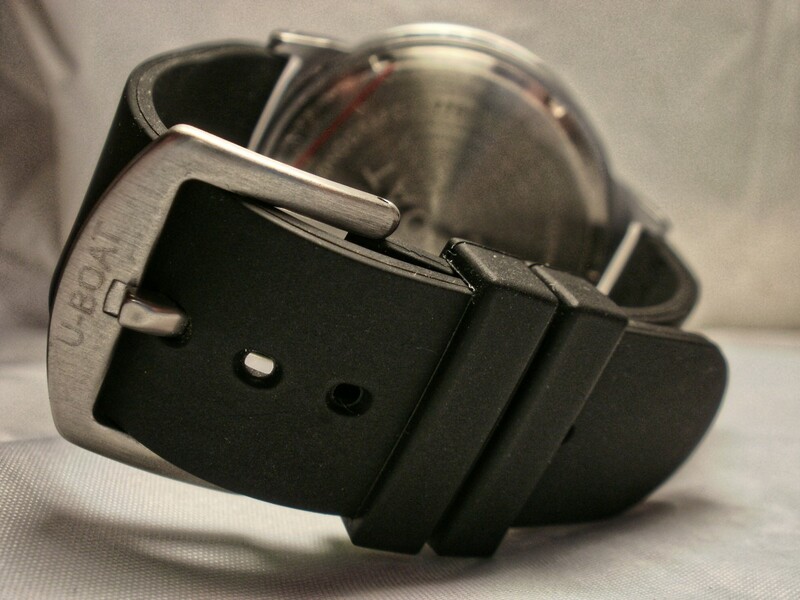 This timepiece’s case is composed of a dull gray metal with U 1001 stamped on the side. On the bezel, this is inscribed: 50mm TITANIUM LIMITED EDITION 1001 Pleces Created by ITALO FONTANA DISEGNATO de ITALO FONTANA . 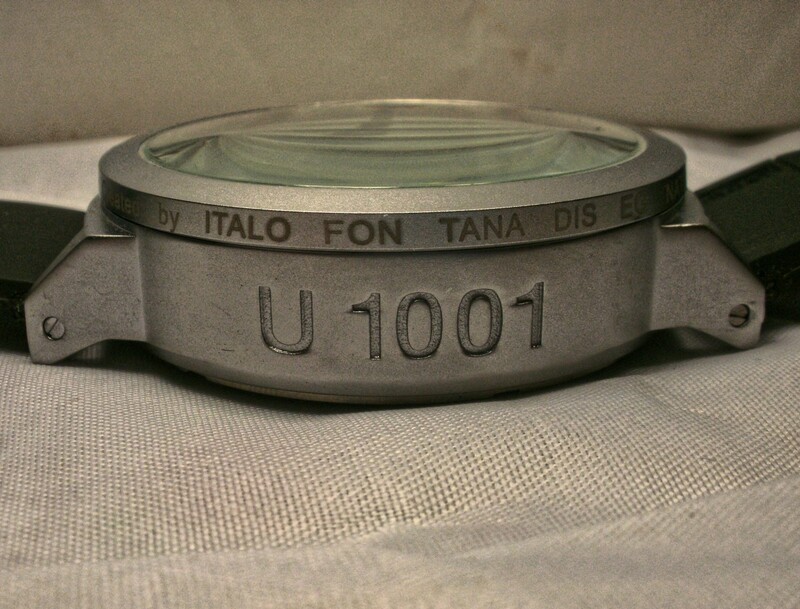 This indicates the dial is 50mm and that the replica is a Titanium Limited Edition of the U-1001 watch, created by Italo Fontana, designed by Italo Fontana. For unknown reasons, there are breaks in the words and several languages were utilized. The crown is situated on the left-hand side of this timepiece and protected by a screw-down cap. On the original watch the crown, which could also be screwed down, doubles as a helium escape valve. This replica includes neither of these features. The crown is used to wind the movement, set the time and change the day of month. Two pushbuttons, used to adjust the subdials, flank the crown. The dial of this watch is white in color. Hour markers are either silver or black. 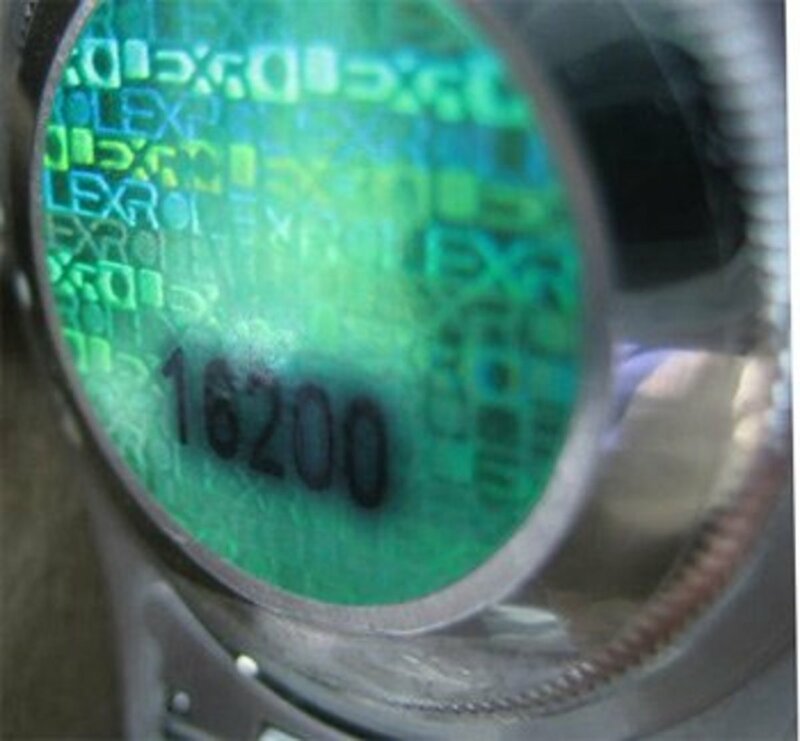 The top of three subdials feature a secondary second hand and the bottom subdial displays the month. At the three o’clock position, a third subdial indicates the day of week. A tiny window to the left, displays the day of month. 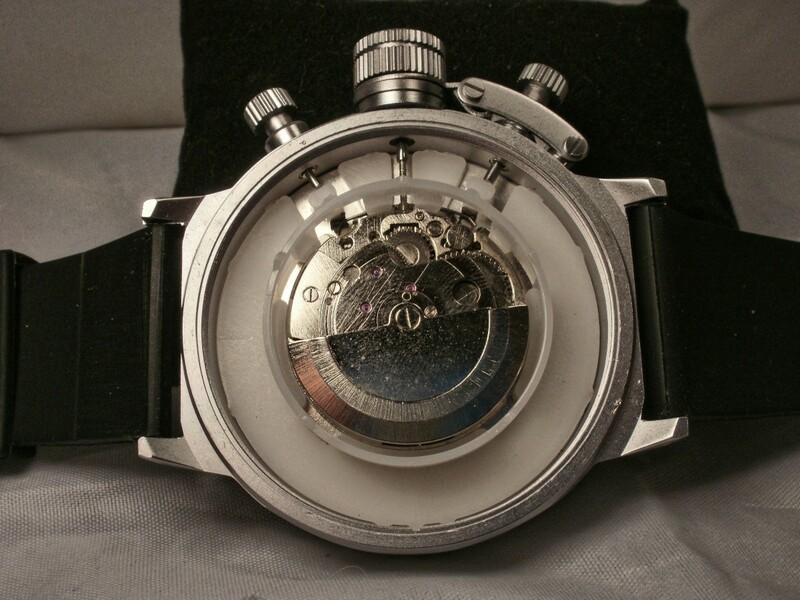 The caseback is composed of stainless steel and falsely denotes this watch as a U-Boat product. This timepiece, like the original U-Boat U 1001, is equipped with a rubber strap which appears to be held to the case by screws. I tried to turn one of these screws without success so this touch should be considered decorative. I cannot identify the originating factory but this manufacturer is probably located within Guangdong, China. Every component of this watch is oversized and, strapped to my scrawny wrist, it appears as if I’m wearing a travel clock. That’s okay; I like large watches. The case is purposely dullish in emulation of one composed of titanium. I appreciate the large white dial and thick black markings which represent the hours. These marking are in silver, spelling out U-1001, from the twelve o’clock to the three o’clock position. The subdials are white to avoid drawing undue attention. For reasons, quite inexplicit, their pointers are painted the same color. The main hands are also partially coated in white paint but can be easily read. Those that are left-handed will appreciate the positioning of the crown and pushbuttons. The black rubber strap goes well with the metal case and white dial. All subdials functioned correctly. I was especially impressed by the ability to advance the day of week pointer in half-day steps. The window displaying the day of month is a touch smaller than I would prefer. After five days rotating in my Diplomat Watch Winder, I found this timepiece gained an average of thirty-three seconds per day. While this level of accuracy is nothing to brag about, it is acceptable. I measured the period of time the replica kept running after being removed from the watch winder. Practical Power Reserve is twenty hours. The crystal is slightly concave, rising higher than the surrounding bezel. It will be subject to scratching. Both pushbuttons worked well. They have large heads and are quite long, protruding more than necessary from the case and stretching far inside toward the movement. Because of this, the buttons are noticeably wobbly. A snagging hazard exists. 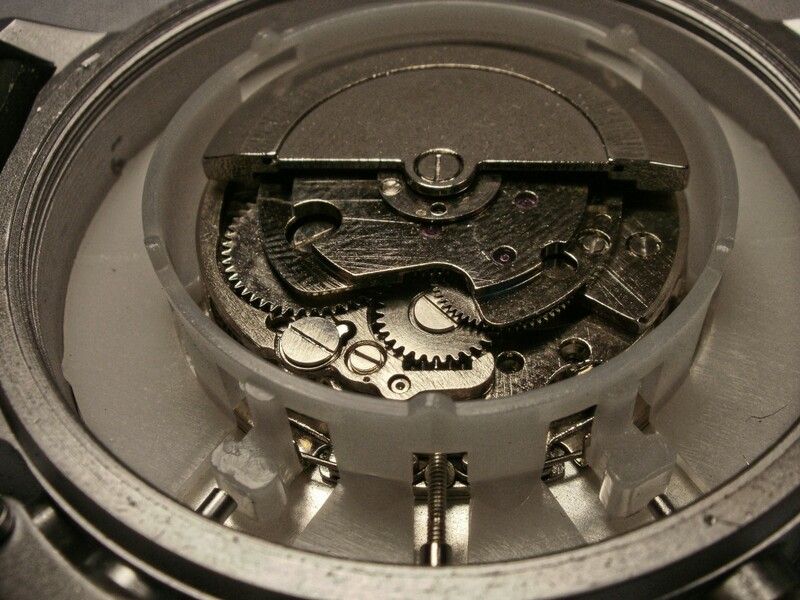 The case appears to be well constructed and the movement worked faultlessly. I tend to tightly strap a watch around my wrist. In this case, however, I found the cap, covering the crown, would rub against my forearm. Slightly loosening the band resolved this difficulty. Although the strap is probably rubber, it could also be composed of polyurethane resin. This is a moot point as a band fashioned from either substance will last the lifetime of this timepiece. As with all mechanical watches, this replica will feel the effect of dust and drying lubricants after three or four years of use. At this point it will require cleaning or replacement. 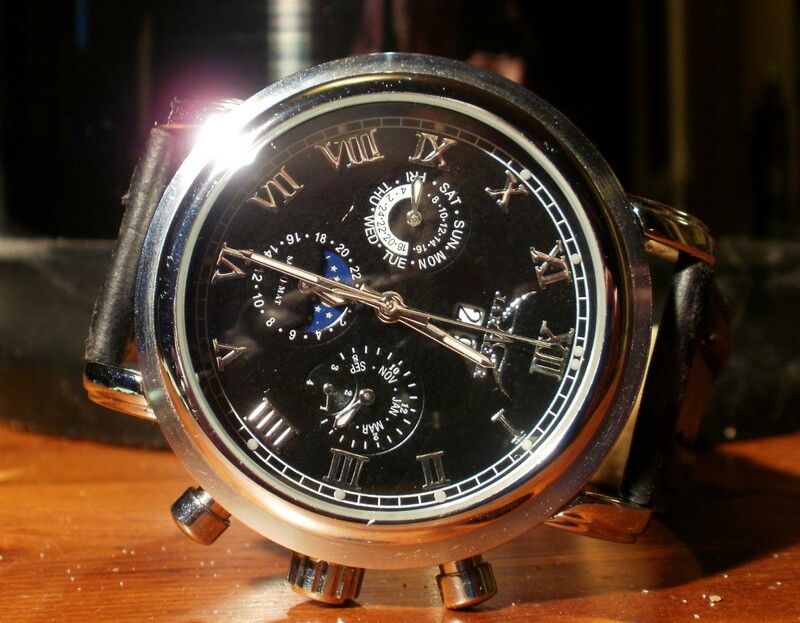 Although this watch is not perfect, it is a decent replica and includes a complete calendar. If you want a large, easy to read timepiece or are looking for a bit of bling, the Replica U-Boat U-1001 is worthy of consideration. While this watch is not particularly waterproof, the original U-Boat was designed to stop water ingression at great depths. I am interested in the amount of water resistance—bearing in mind that this feature will increase the cost—the average customer expects their watch to exhibit. Please fill in the poll below. Keeping in mind the cost of this feature, what quality of water resistance do you expect in a watch? Can a replica U-Boat U-1001 watch be left on in a swimming pool without creating damage? In most cases, they cannot. Most replicas are rated to 30 meters or less. A rating of 30 meters sounds good, but basically, it means they are only slightly water resistant and cannot be used in a shower or pool.